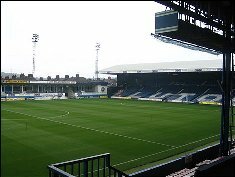 PSC organised Luton Town's 125th anniversary friendly game against Kilmarnock, of the Scottish Premier League on Friday 31st July 2010. PSC liaised with Luton in organising Kilmarnock's flights, hotel and transfers. The game was seen as a successful friendly as far as both teams' managers were concerned.